Purified recombinant fragment of human CD218A (AA: extra 22-185) expressed in E. Coli. 1.PLoS One. 2014 Oct 31;9(10):e110734. Figure 1:Black line: Control Antigen (100 ng);Purple line: Antigen (10ng); Blue line: Antigen (50 ng); Red line:Antigen (100 ng). 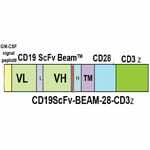 Figure 2:Western blot analysis using CD218A mAb against human CD218A (AA: extra 22-185) recombinant protein. (Expected MW is 45.2 kDa). 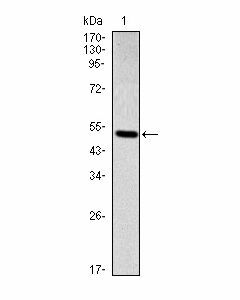 Figure 3:Western blot analysis using CD218A mAb against HEK293 (1) and CD218A (AA: extra 22-185)-hIgGFc transfected HEK293 (2) cell lysate. 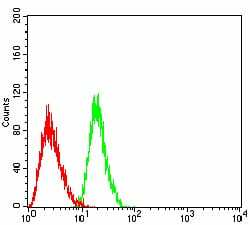 Figure 4:Flow cytometric analysis of HL-60 cells using CD218A mouse mAb (green) and negative control (red). 1. How long will it take to receive the antibodies? It typically takes approximately three months to receive the first batch of antibodies in supernatant format (secreted antibodies in conditioned media), delivered in 1 mL to 2 mL aliquots, which will be chosen based on screening protocols using the immunogen and ELISA. Supernatants will be used by the customer to validate antibodies and to select hybridoma populations for limited dilution and expansion of clonal populations. Once hybridoma clones are ready for shipping, a customer may then decide whether to produce antibodies from clones in their own laboratory, or ProMab may proceed with large-scale production in culture or via ascites. 2. What positive clones will I receive? 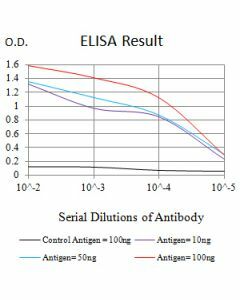 It is impossible to test an antibody's application in every case, but we guarantee at least 10 positive clones against the customer-provided antigen by ELISA. If a customer requires additional screening assays to be performed, to validate an antibody for a specific application, such as Western., IHC, or flow cytometry, please contact customer service. 3. Do I receive the clonal hybridoma cell lines? At the end of each project, we will ship sub cloned, clonal cell lines to you either frozen, or as a live culture. Frozen stocks (2-3 vials unless more are requested) of cell lines will be stored in liquid nitrogen for up to 6 months at no additional charge. If a customer requires cell lines to be stored for longer than 6 months, nominal additional charges will apply. 4. What kind of antigens are employed to make antibodies? ProMab's immunization protocols can be adapted for native proteins, recombinant proteins, peptides, and conjugated small molecules. If the synthetic peptide is smaller than 8 kDa, it will require conjugation to the carrier molecule KLH through the thiol group of an added cysteine residue. In general, peptide antigens have a lower success rate in eliciting a strong immune response than do the larger recombinant proteins or protein fragments. Peptides, however, do have the advantage that they can be carefully designed to avoid sequence regions that are similar or identical to other members of the same protein family, thus making them potentially more specific. 5. How much antigen is required for antibody development? If the antigen is a peptide, 5 mg of free peptide and an additional 5 mg of conjugated peptide will generally be sufficient. Less may be needed if your peptide is highly purified. If the antigen is a protein, 3-5 mgs at a concentration of 0.5-1 mg/mL is generally sufficient. Be sure to let us know which buffer was used and the protein concentration. For affinity purification of an antibody, 5 mg of soluble protein is required to prepare the immunoaffinity column. 6. How do you test antibodies that you have developed? Antibodies are tested by ELISA and western blot, and/or IHC and/or ICC depending on the antibody application requirements of a customer. All ProMab antibodies have been extensively tested. We also test antibodies using less conventional assays, including immunoprecipitation and flow cytometry, upon customer request. 7. 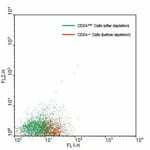 How do you measure the antibody titer? 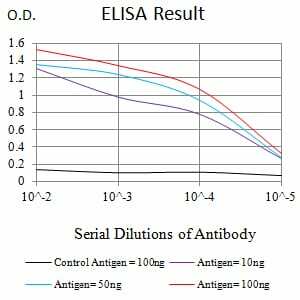 Antibody titer is determined by ELISA. In this method, we coat 96-well plates with antigen and wash repeatedly to remove unbound antigen. Serial dilutions of antibody are added to the antigen-bound wells and washed repeatedly to remove unbound antibodies. A labeled secondary antibody is then added, and the amount of bound primary antibodies is determined by a colorimetric assay. 8. How should I store my antibodies? Storage of lyophilized antibodies: All our products are shipped lyophilized (freeze-dried). In this form they are stable without loss of quality at ambient temperatures for extremely long periods of time They can be stored at 40˚C for several years. After reconstitution by addition of water, storage conditions depend on the type of antibody, as described below. Ascites fluid: When ascites fluid is reconstituted, small amounts of azide or thimerosal are added to prevent microbial growth. Ascites fluid should be stored frozen. Monoclonal antibodies usually do not lose an appreciable amount of activity from freeze-thawing, but aliquoting is recommended to avoid repetitive freeze-thaw cycles. Prolonged storage at 4˚C is not recommended! Unlike serum, ascites fluid may contain proteases that will ultimately degrade the antibodies. Addition of protease inhibitors may help to slow degradation. 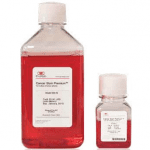 Purified IgG: Do not store dilute (<0.1mg/ml) antibody solutions unless carrier proteins such as BSA are added. IgG, like other proteins, binds non-specifically to glass and plastic. Any IgG solution below 0.1 mg/ml protein will adhere to the storage vessel and denature, thus losing activity. Repetitive freeze-thawing of dilute purified IgG is almost certain to lead to substantial loss. Rabbit serum: Antibodies in serum are more robust than in ascites fluid. With anti-microbial additives, they may be stored at 4˚C (serum does not contain significant protease activity; in fact, serum itself contains a powerful cocktail of protease inhibitors). Frozen storage, however, is preferable for longer periods (months to years). 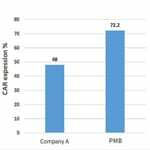 Polyclonal affinity-purified antibodies: Purified antibodies are less robust than in sera, since protease inhibitors and carrier proteins are removed during purification. Hence, storage at 4˚C for prolonged periods (i.e. several weeks), is not recommended. 9. What is the difference between the titer and the working dilution of an antibody? The titer of an antibody refers to the lowest concentration (highest dilution) at which the antibody is still effective in a given system. The working dilution is usually the concentration that provides good sensitivity with a high signal-to- noise ratio. Using too high a concentration is wasteful and may give rise to non-specific signals. On the other hand, using too low a concentration will lead to a loss in sensitivity. 10. How do I determine antibody concentration using the absorbance at 280nm? The amount of antibody can be determined by absorbance at 280nm. 1 OD = approximately 0.75 mg/ml of purified antibody. 11. What can I use to block non-specific binding in immunological techniques? This will largely depend on the type of antibody used. For most ELISA and Western applications, 2% non-fat milk is an excellent blocking agent. Alternatively, 3% bovine serum albumin is sometimes as effective. Gelatin or serum (other than the species of primary antibody) may also be used to block non-specific binding. 12. What is meant by monospecific reactivity? A monospecific antibody is one that reacts with only a single antigenic determinant. Monoclonal antibodies are the only truly monospecific reagents. The term is also used, however, to describe polyclonal antibodies that were raised and affinity-purified against a peptide antigen. 13. 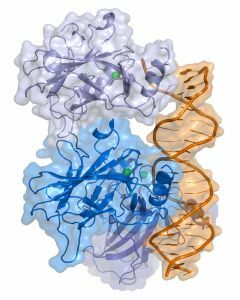 What is the difference between a linear epitope and a conformational epitope? A linear epitope consists of about 6 to 10 adjacent amino acids on a protein molecule that is recognized by an antibody. In contrast, a conformational epitope consists of amino acids that are not arranged sequentially. Here the antibody recognizes only the 3-dimensional structure of the antigen. When a protein molecule folds into a 3-dimensional structure, the amino acids forming the epitope are juxtaposed, enabling the antibody to recognize the sequence. Knowledge of the differences between linear or conformational epitopes is significant in immunological applications. In a denatured protein, only the linear epitope may be recognized. Hence in protocols where a denatured protein is used, such as in Western blotting, an antibody that recognizes a linear epitope is preferred. Sometimes an epitope is inside the protein relative to its native conformation. 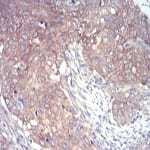 The epitope is then inaccessible to the antibody in a non-denaturing protocol, such as a non-denaturing immunoprecipitation. A conformational epitope, by definition, must lie on the outside of the folded protein. An antibody that recognizes the conformational epitope is suitable for mild, non-denaturing procedures, such as non-denaturing immunoprecipitations or flow cytometry. Optimally, an antibody that recognizes a linear epitope on the surface of a normally folded protein will work well in both non-denaturing and denaturing protocols.